This week we have a double header for you! We’ve finally built a page that houses all the stats we’ve been collecting. You can now see which enemies are killed the most, which dungeons have the most losses, and which gods give out the most boons. Draw you own conclusions and share them on the forum. And hey, Steam users: we’ve also released our community package of tradeable Desktop Dungeons goodies to the big bad world. For your digital swapmeeting pleasure, our artists have produced six game cards, seven profile backgrounds, five emoticons and a partridge in a pear tree. Spread the word and start collecting! While we work on getting Desktop Dungeons moved to mobile platforms and the like, we’ve been paying some attention to control schemes and selection-related weirdnesses. The bugfixes that come with this patch mostly concern themselves with some of the stranger cases that have cropped up, as well as more common interface problems associated with particular playstyles. 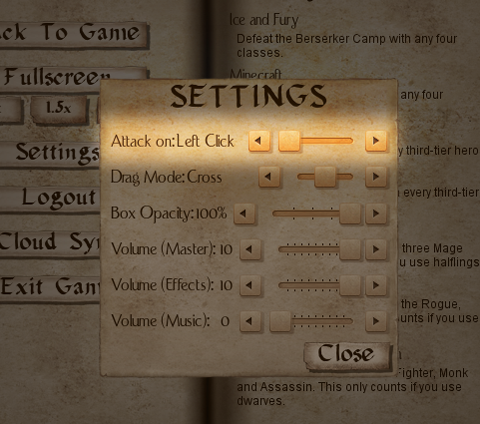 One of the additions we’ve made is the option to switch the default behaviours of the left and right mouse buttons on enemies, meaning that cautious players can opt to have their default movement button select an enemy instead of attacking it, while those more comfortable with classic DD controls can stay just as they are. Such grand choice and agency! 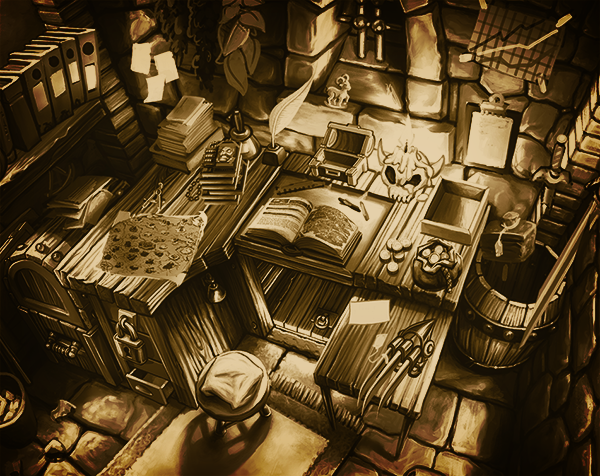 Hail, loyal Desktop Dungeons supporters! This week, we made a big push to eliminate the final instabilities in some of the save / load areas of the game. As we prepare to go into semi-sorta-hibernation over the festive season, take comfort in the fact that your item and data loss issues will be a thing of the past. Players encountering trouble with lockers can take heart. People with missing run data can earn a sense of closure. And there will be cheering in the streets over the preservation of Kingdom progress data! Several logic bugs that caused saved game history to desync in weird ways when playing from different IPs and devices are a thing of the past. We’ve also brought an end to a few other issues, big and small, that came across our field of attention. Thanks for the patience, and we hope y’all continue enjoying the game! 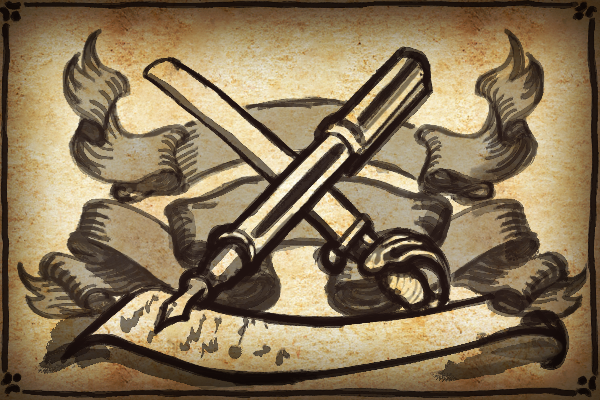 This week’s update addresses some important data saving issues reported over the past week, as well as some minor interface weirdnesses and mechanical exploits / disadvantages (we expect to hear a mixed chorus of “hooray” and “awww” about that). Howdy! This week’s update provides an important stability patch for people playing the game across multiple systems, IPs and what-have-you. Weirdnesses and data loss should be non-existent where they’ve reared their ugly heads before, and the denizens of player Kingdoms can breathe a collective sigh of relief knowing that they won’t sporadically vanish and stuff. 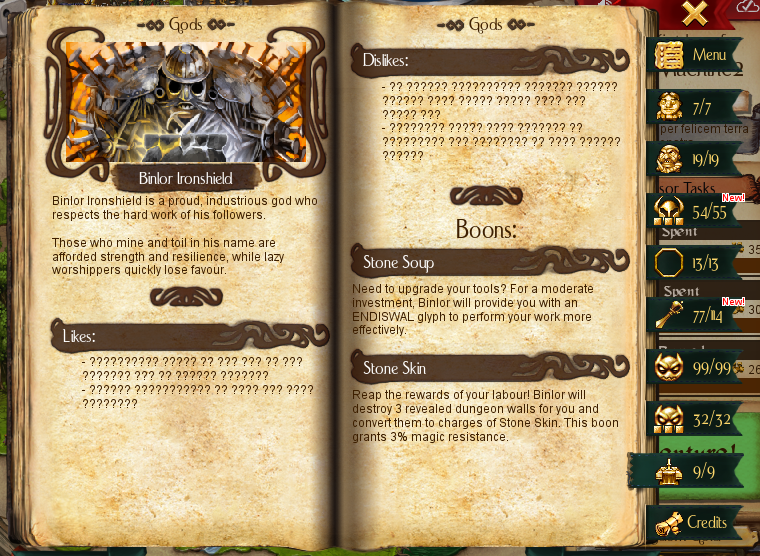 We’ve also nailed that pesky Codex bug related to god discovery and the “NEW!” tag hanging around for an absurdly long time. Man, that one bothered us for a while. And for badge farmers, we have bad news: PISORF finally has a damage type for consideration. Looks like that’s one less cheeky little trick to take advantage of! So, we’ve made it to the other side! The game is out and this is our first non-beta patch for the web player community. Weekly updates aren’t strictly part of our brief anymore, but there’s still more for us to put into the online build and the Steam community has been very helpful in providing loads of early-game feedback (don’t forget to grab the game on Steam or redeem your key if you haven’t done so already). 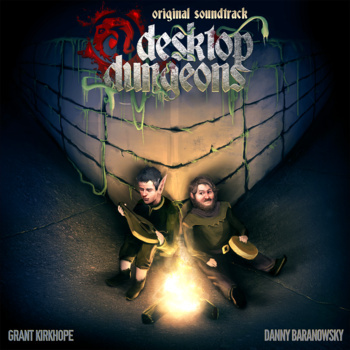 What may interest most of you is the addition of streamed audio from the powerhouse duo of Danny Baranowsky and Grant Kirkhope, giving Desktop Dungeons a fully orchestral soundtrack to finish the experience with a little bit of aural magic. The soundtrack is too big to load up all in one go (and we’re sensitive to people connecting wirelessly from the Antarctic or whatever), so we’re experimenting with loading up individual tracks on the fly — if there’s a delay in hearing any sound, it’ll be due to stuff caching in the background. Let us know if there’s any issues, and enjoy the music! Go to the Steam page now! Here at last! 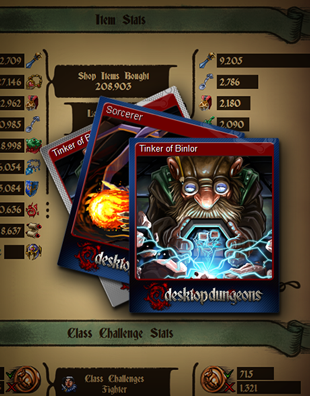 The culmination of three years of hard work, game design and goat-slaying has arrived – it’s the full release of Desktop Dungeons! Now with a full soundtrack and several gazillion hours of gameplay, DD is set to blow you away on PC and Mac, available now via our website and Steam. This has been a long time coming, folks. Thanks for all the support, feedback and farm animal anecdotes over the years, it has truly been an unrivalled experience. If you’ve bought the Beta version as a pre-order and want access to your complimentary Desktop Dungeons Steam key, get it over here. You’ll be able to link your Steam account to your existing game profile and continue right from where you left off. Enjoy, folks. We hope this game will be one truly baaaaa-dass experience. It’s been a long and emotional journey, folks. This is the final Desktop Dungeons Beta Update. As we scramble to add the last few features and bugfixes for the impending Steam launch and our release of the official “full” version, we’d like to thank all of our beta supporters, pre-orderers and faithful problem-spotters for the enthusiasm, hard work and commitment to improvement that has not at all waned in all the time that we’ve been developing openly on this product. That’s 128 beta updates, folks. A nice binary kind of number and a fitting version update to wrap things up with! 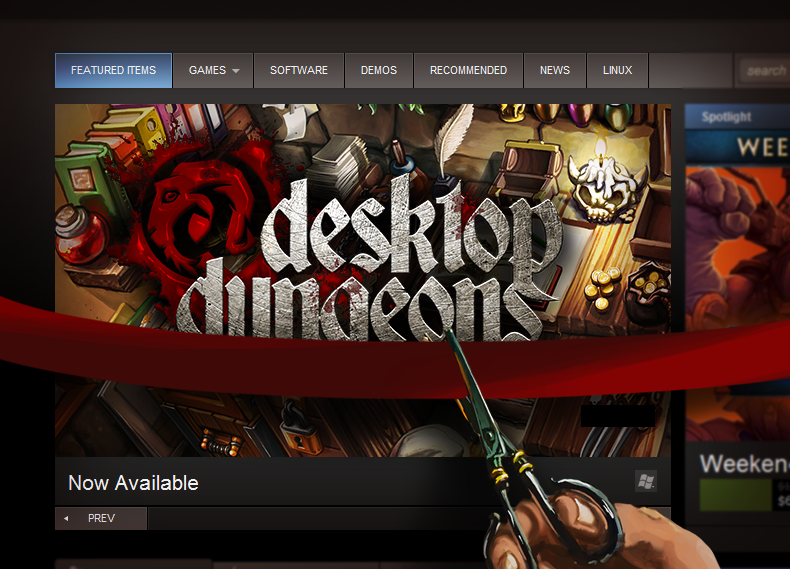 Yep, we’re finally loosening our tongues about the long-awaited Desktop Dungeons Steam launch! Your favourite fix of homicidal goats, merciless dungeons and thinky roguelike puzzling will hit the service on 7 November for PC and Mac. You have one last week to get in on the pre-order system for 10% off and immediate access to the almost-no-longer-beta version. No matter when you purchase your copy, you will be entitled to a free Steam key on full release, and we’ll be working on the iPhone / Android / Linux conversions shortly thereafter. So, tell your friends! Tell your family! Tell your more technologically-inclined pets! Let everyone know that we’re here to change their coffee breaks forever. And tell them to buy the game. Their loyal Kingdom subjects will thank them for it. PS. If you happen to be in or around America, make your way to MineCon in Orlando, Florida to check out Desktop Dungeons before it goes public! Yep, we’re totally gonna have a presence there — just look out for goats and a guy with an epically braided beard. Now, this is a pretty little update! We’ve added a chunk of new animations this week, vastly improving the appearance of a lotta common dungeon interactions such as exploration and enemy thwacking. Bosses have suitably ominous bone piles placed around them (the unfortunate remains of unfortunate adventurers, no doubt) and gold coins are about 50% more golden and coin-ish. 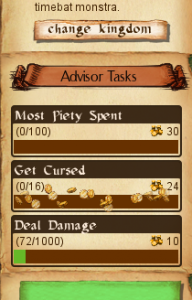 We’ve also added one last game system to fill out a hitherto barren panel on the Kingdom screen: the long-delayed Advisor Tasks panel, designed to direct, intrigue and reward players with micro-quests and common chores. Players stuck on dungeons will no longer find themselves completely bereft of achievements or income, and beginners should find the tasks pulling them in interesting new directions. Give the system a try and let us know what you think! New sound effects are being added this week, too. The process has only begun in this update, but we’ll have another whole chunk of ’em by this time next week. They’re already sounding pretty crackly, magical and chilling on our end, so it’s just a matter of plugging ’em into the game itself!